Club Penguin Cheats by Mimo777 Club Penguin Cheats by Mimo777: My Penguin is LIVE! 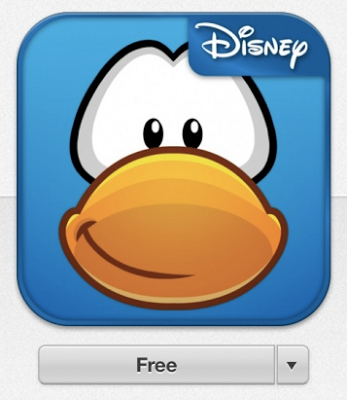 The all new Club Penguin iPad app is officially downloadable in the Apple App Store! My Penguin lets you connect with your Penguin account, style it with your items, earn coins by playing 5 mobile versons of Pufflescape, Puffle Rescue, Puffle Roundup, and Ice Fishing(with more to come! ), and buy items from the catalog. It's completely connected to Club Penguin, so all your items and coins and are synced. There are also a few little "touches" to the CP games that aren't on Club Penguin on your computer. Just to make it a little better! And EVERYONE keeps asking for My Penguin on iPhone, iPod Touch, and Android. They hear ya! And they are going to try to get that going as soon as possible! They're also working on more languages including Spanish, French, German, and Portugese! To celibrate this AWESOME new thing CP wants EVERYONE to join the ENTIRE Club Penguin mobile team online this afternoon at 3 pm Penguin Standard Time! I've also heard that some of our favorite CP characters and mods will be on the Island to join the fun! They'll be playing on lots of servers, to make this the biggest celebration in CP history! UPDATE (1:57 PST) - Some of you are reporting that you cannot login through My Penguin. We're on it and will get it fixed ASAP. UPDATE (2:40 PST) - We're still digging in on the login issue. It appears that if you quit the app (you may need to stop it by double clicking the home button and removing from the dock) and then restart it. It works correctly. We are still seeing if we can fix on our end. Apologies to those experiencing this.